It may have been a long process but I have to say that I could not be happier with the finished product. As many of you will know from my last two posts on this, the original plan was to remove a simple butterfly tattoo on my wrist that I got when I was around 16 years old. I wasn't necessarily looking to have it removed entirely, but just enough so that I could have it covered with a fresh design that was more in keeping with the rest of my tattoos. In case you missed why I started laser tattoo removal or the Q&A section, you can check out Part I and Part II of my journey but I started my tattoo laser removal just over a year ago at Pulse Light Clinic* on Tottenham Court Road. Having gone in with an old, poorly done and all black tattoo to start with, I knew that I would see good results but I didn't expect to be finished THAT quickly. I'm very pleased to say that after just six short sessions, my tattoo was almost completely gone. As you can see from the after photo, apart from a few little areas and some poor lighting, most of the tattoo was completely faded. And, having checked in with my tattoo artist throughout the process, it was finally ready to cover! Now, as I was covering up an old tattoo, I knew I had to go dark for my cover-up piece. To ensure the old tattoo was completely hidden, my tattoo artist (Josh Marks at Black Lantern in Southampton) actually drew the design on my skin in free-hand in biro and sharpie. And I'm honestly so happy with the finished piece. I can't see any trace of the original tattoo and I still find myself inspecting it. Due to some scaring from the original piece, I was worried that this would show through but thankfully I've had no problems with it at all. This is not to say that everyone will have the same experience as me but I honestly could not be happier with the whole process and the treatment I received overall from Pulse Light. Well, that's it for my third and final instalment of my Laser Tattoo Removal Journey. 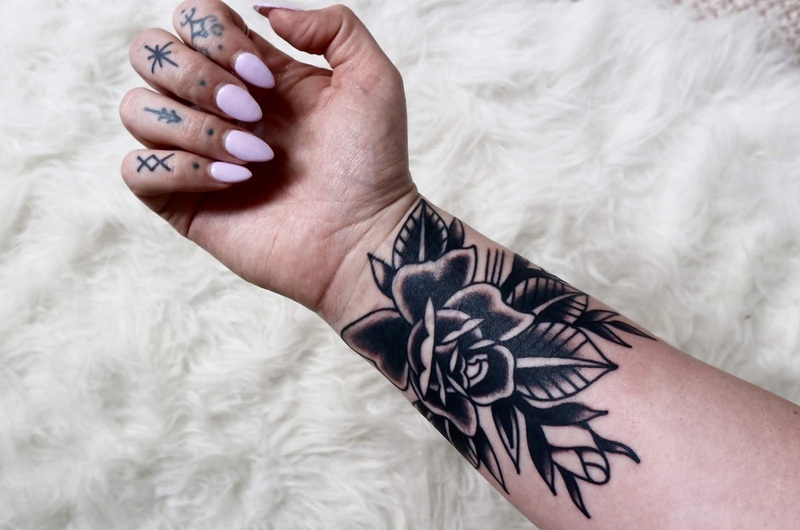 If you have any questions about the process of Laser Tattoo Removal or the healing stages, don't forget to check out Part I and Part II if you haven't already. 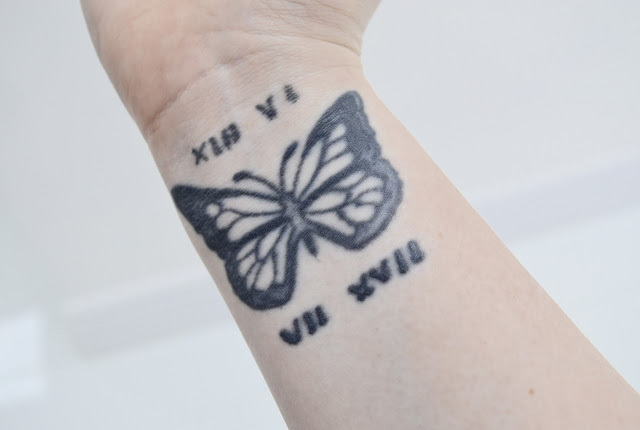 A huge thanks to PulseLight Clinic for the tattoo fix - I cannot recommend this process enough if you're particularly unhappy with a tattoo and are looking in to getting it removed. 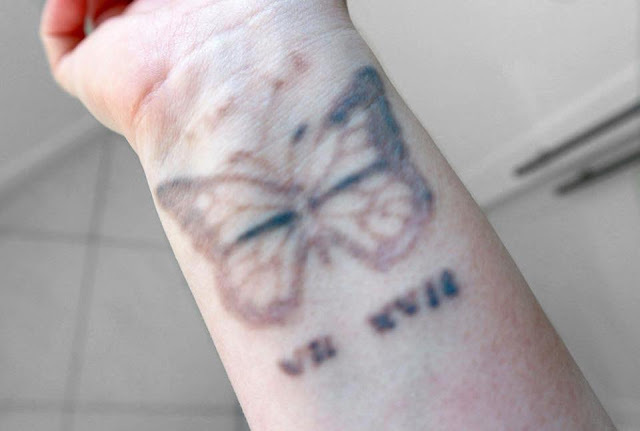 But tell me, have you ever considered laser tattoo removal? Have I left anything out? As always, I love reading your comments and questions so please do leave me lots of lovely ones below. *Disclaimer: This post is a collaboration with Pulse Light Clinic in which I was asked to document my journey in return for treatment. As usual, all opinions are my own and do not reflect that of the brand. Love the new design, so so well done! It's amazing what good professionals can do! I'm glad that you're pleased with the results :) The new tattoo looks great! Aside from some lingering health issues, I am fine. I wish you well in your travels :) Oh, I just saw your interview with Paul Rudd - nice job on that, Sophie! I really enjoyed Ant Man and the Wasp. I needed the laughs! Ugh, I'm sorry to see that your blog has been spammed so disrespectfully, Sophie. I am much better healthwise but not yet 100%. If you were nervous during the interview, it did not show at all. Good job! LOVE the new tattoo - looks great! The beauty of the space and food get 5 juicy stars. The event venues Chicago were built with class! I'm no critic, but this place makes you appreciate design and aesthetics. I went to two events here. Both times, I had a great experience.